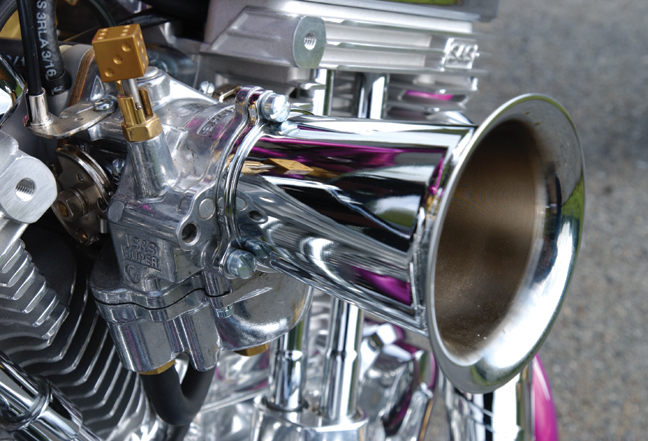 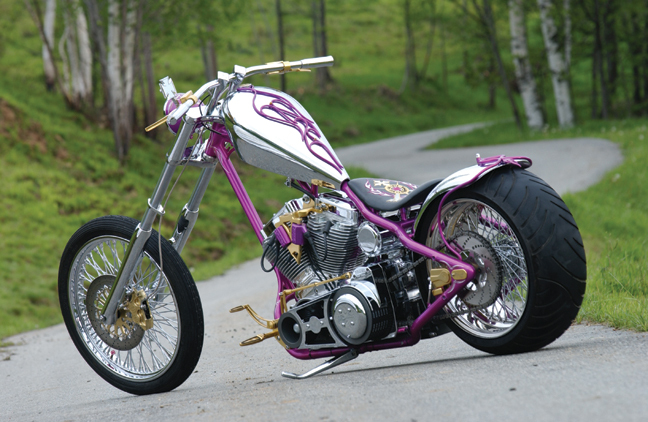 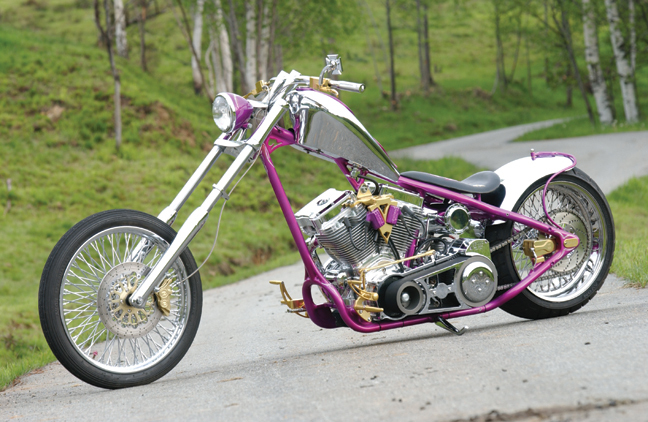 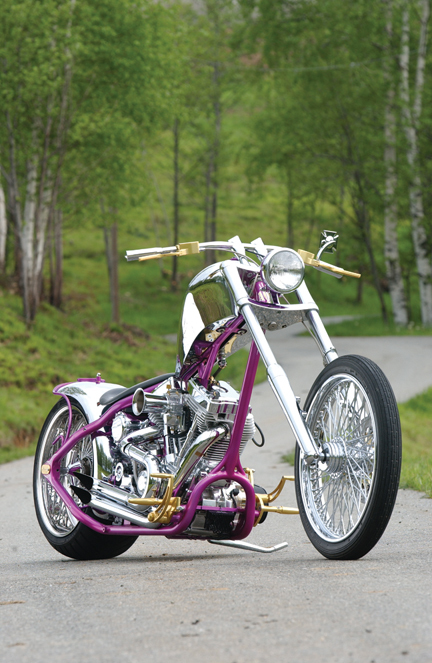 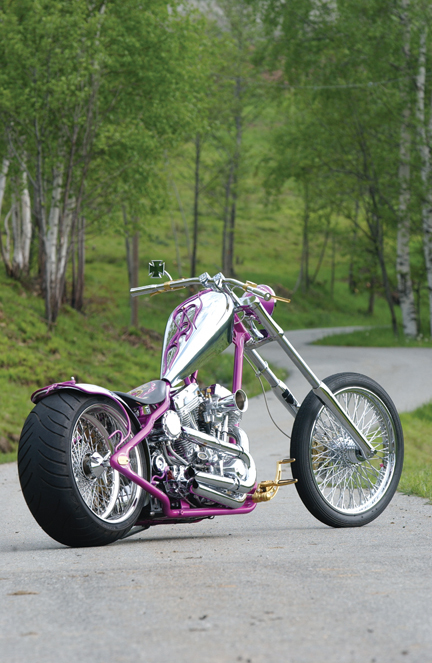 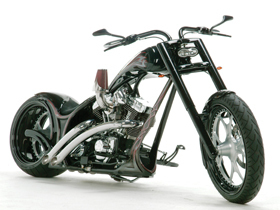 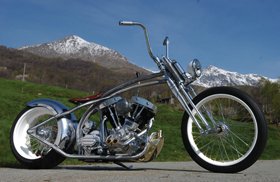 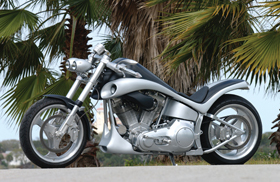 Chrome Custom Chopper featuring our super smooth top motor mount for softail evolution engines, super smooth coil bracket for dyna and revtech coils, super smooth forward controls and sprocket rotor kit. 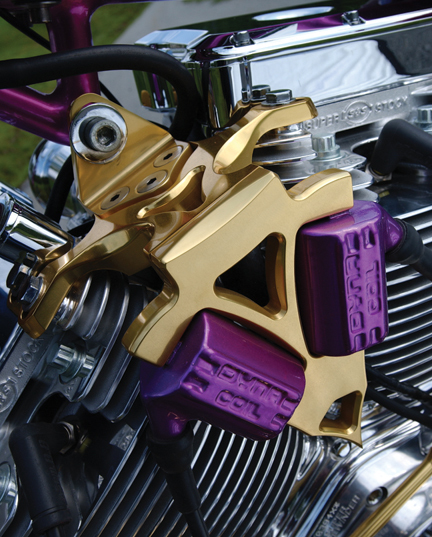 Here is another view of our super smooth top motor mount for softail evolution engines, super smooth coil bracket for dyna and revtech coils, super smooth forward controls and sprocket rotor kit. 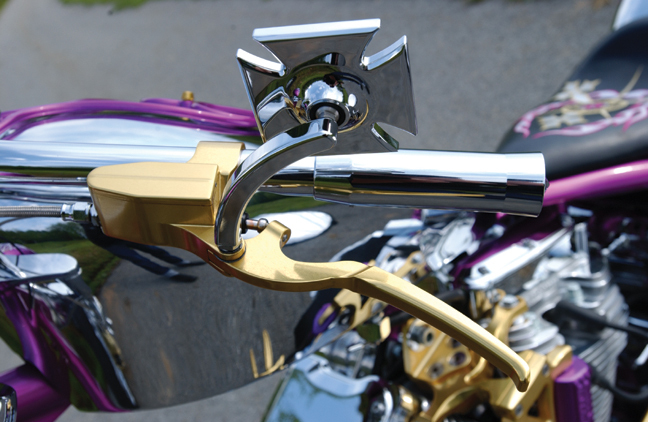 Here is a close up view of our lucky seven choke knob for s&s carburators. 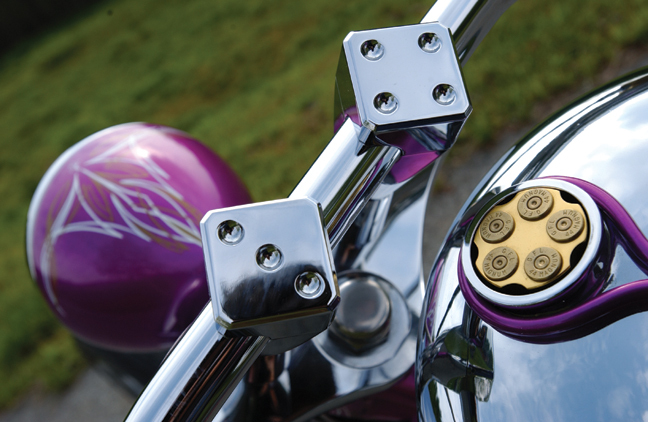 A close up picture of our billet aluminum super smooth hand controls, super smooth grips and maltese cross mirrors. 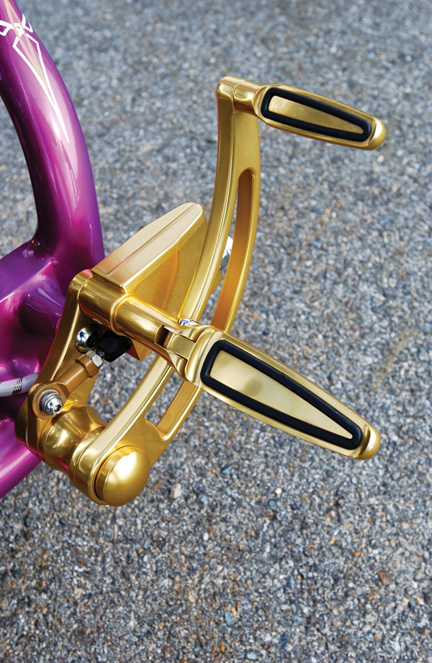 Here are our billet aluminum lucky seven risers. 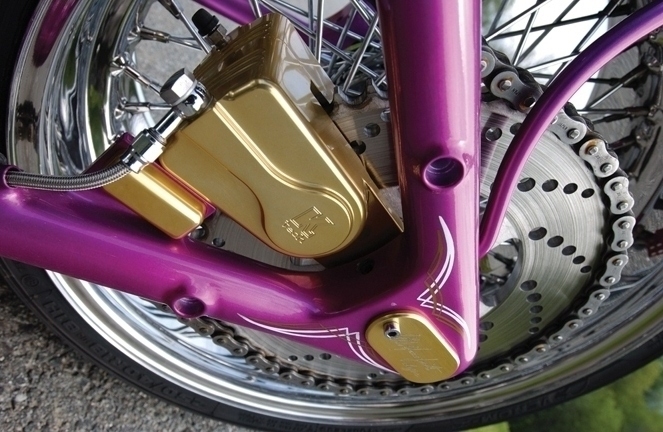 Here is a close up picture of our sprocket rotor kit. 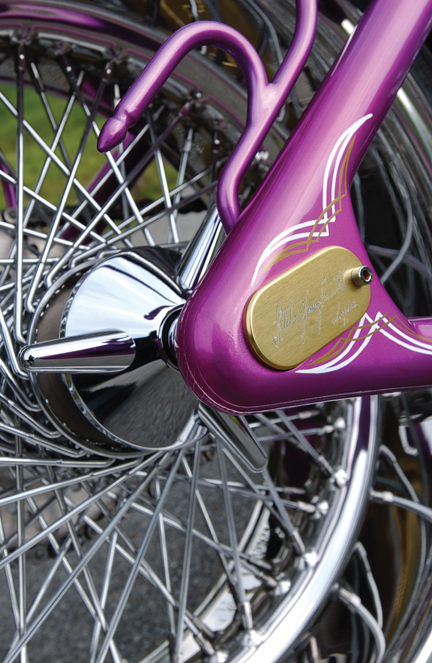 Below is a picture of our chrome wheel spinner.